Gifts In Jars: Foaming Vanilla Honey Bath is a fragrant gift made from kitchen basics. Multicolored glass bottles makes this Gifts In Jars recipe extra special. 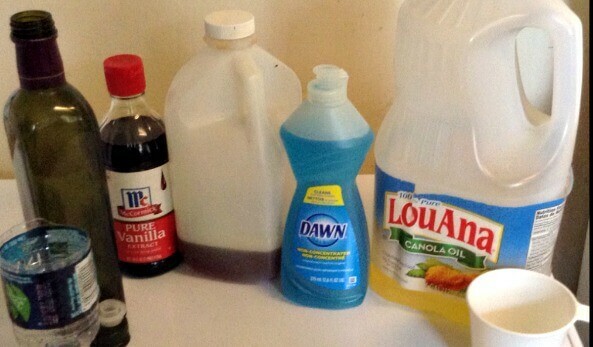 Mix together all the ingredients and pour into a clean bottle with a tight fitting stopper or lid. 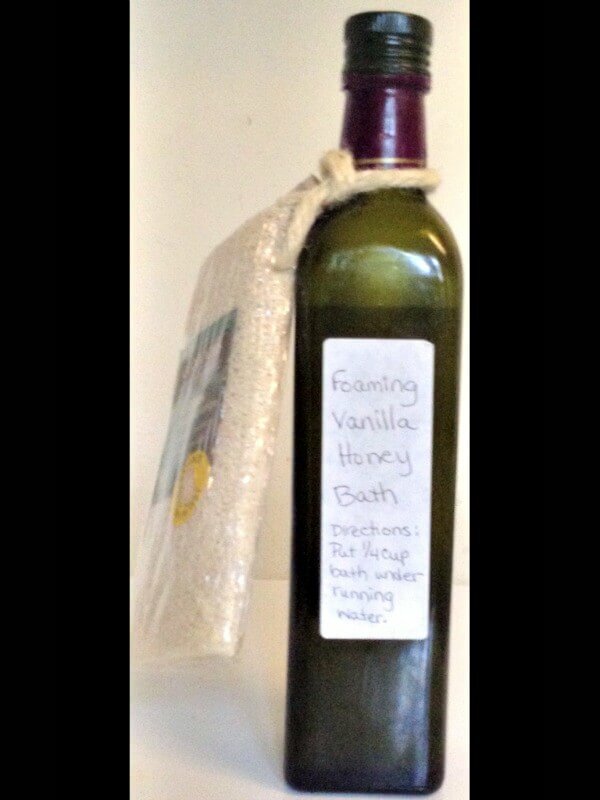 Attach a label with the following information to your Gifts In Jars: Foaming Vanilla Honey Bath Shake before using. Pour 1/4 cup into the bath under running water. Yield 16 ounces, enough for 8 baths. Find special jars around the house. The bottle we used came from Balsamic Vinegar. We simply washed it out, filled it with the above recipe and label. Attach a loufa or pouf to the gifts in jars bottle as an extra little gift. Include your gifts in jars in a basket with other relaxing products to encourage a spa hour: lotion, good book, special drink or snack. Ready for an edible Gifts in a jar: easy filler, no recipe Jelly Belly beans or Brownie mix in a jar. For other homemade bath products for Gifts in a jar, consider using like scents and ingredients for a basketful of Gifts in a jar! 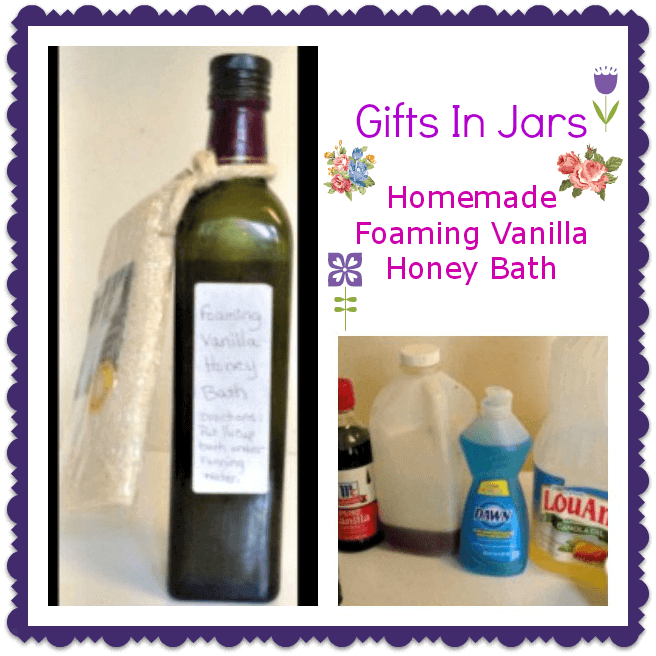 Be sure to make extra of this Gifts In Jars: Foaming Vanilla Honey Bath for yourself!